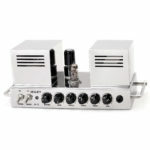 A-5 is a 5 watt single-ended amplifier for use with electric guitar. Aside from the traditional controls the amp features a PUNCH knob, which helps to alternate the tone from bright, glassy to thick and melodious, by adjusting the balance of low and high mids. 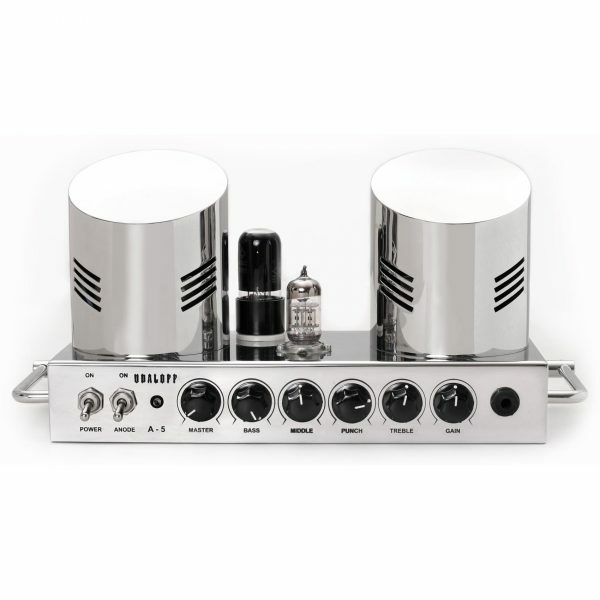 This amplifier provides a professional sounding result with flexible tonal character at low volumes. 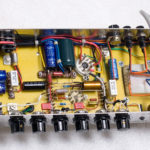 The power of 5 Watts is enough to get the guitar cabinet’s speakers “breathing” and achieve a powerful guitar sound with proper attack applied to the strings. A-5 is assembled in a polished stainless steel case (1.5mm thick). The circuit is hand-wired. 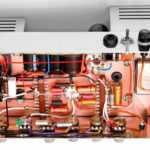 No negative feedback loops are used in the amplifier, the signal chain was made as short as possible, hence the result – open and a highly detailed soundscape. It works well with all types of guitar effect pedals. A-5 – features an ultra-linear mode.